New Delhi: One of the country’s leading drug maker Sun Pharmaceuticals Industries Tuesday hit out at the proposed draft new pharma pricing policy (NPPP), 2011 saying it could lead to shortage of drugs and severely hurt the interests of domestic industry and patients. “We have serious concerns about the policy, the way it is designed and drafted. It is a major opportunity missed by the government," Sun Pharmaceutical Industries chairman and managing director (MD) Dilip Shanghvi told the news agency. The draft policy neither addresses the needs of the industry nor those of patients. It only looks in terms of price reduction, which is a short term approach, he added. The draft NPPP, 2011 proposes to bring 60% of total domestic pharmaceutical market amounting to nearly ₹ 29,000 crore under price control by bringing all the 348 drugs specified in the National List of Essential Medicines 2011 under price control. It seeks to regulate prices of drug formulations only, unlike the existing principle of controlling prices of specified bulk drugs and their formulations as adopted in drug policy, 1994. Shanghvi also said the proposed policy overlooks the fact that pharma industry is focused on research and there is no provision in the policy to support these efforts. He, however, said the “industry is very keen to engage in a dialogue" with the government to frame a comprehensive policy that is in the interest of all stakeholders. Leading pharmaceutical industry bodies have already criticised the draft NPPP 2011 saying it is short sighted and does not consider the long-term availability of drugs. 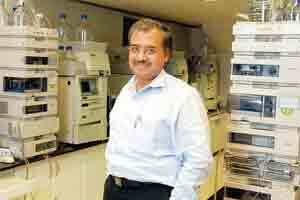 Sun Pharmaceuticals Industries is among the major drug makers in the country. It had posted a revenue of ₹ 3,530 crore in the first half of this fiscal.